Physicians typically prescribe appetite suppressants on a short-term basis to jump start a longer-term weight loss program. Appetite suppressant products also are available over-the-counter or online. Certain dangers are associated with appetite suppressants, and people should be cautious about using them—even those advertised as "natural." 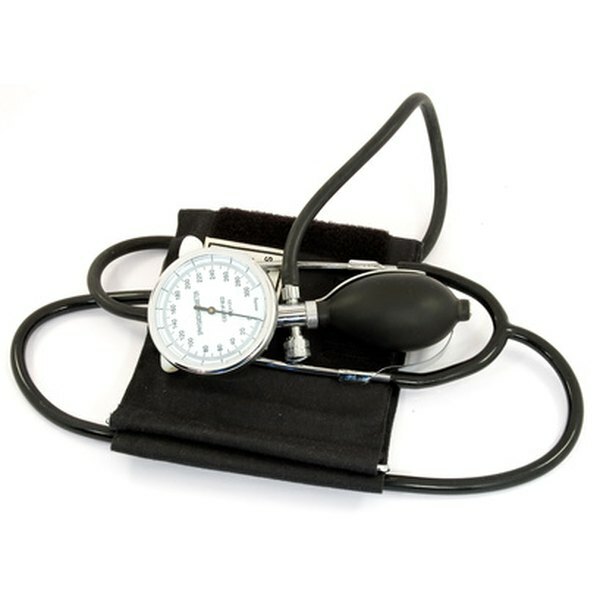 Appetite suppressant use is linked to a type of high blood pressure called secondary hypertension. Most people with high blood pressure have essential hypertension, which does not have an identifiable cause, while secondary hypertension is linked to other health conditions or to drug usage, according to the University of Maryland Medical Center (UMMC). Taking appetite suppressants can result in high blood pressure, and taking an appetite suppressant within 14 days of taking a monoamine oxidase inhibitor (MAOI) can cause dangerously high blood pressure. Pulmonary hypertension, a lung disorder in which the blood pressure in the pulmonary artery becomes much higher than normal, has been linked to the appetite suppressants fenfluramine, dexfenfluramine, a combination of phentermine and fenfluramine (Phen-Fen), and phentermine alone. Some side effects from appetite suppressants call for immediate medical attention, according to a report from the National Institutes of Health. They may be signs of cardiovascular problems, an allergic reaction or other disorders. These symptoms include a decrease in exercise ability, fainting, chest pain, rapid or irregular heartbeat, swelling of the feet or lower legs (edema), numbness, a rash or hives, severe headache, difficulty breathing, difficult or painful urination, sore throat with fever and unusual bleeding or bruising. Psychological changes are associated with long-term or excessive use of appetite suppressants. They may include personality changes, insomnia and hyperactivity, according to the NIH. Some people even develop psychotic symptoms, such as thinking that another person can hear their thoughts or is controlling their behavior. Some users of appetite suppressants may develop audio or visual hallucinations. Taking prescription appetite suppressants for a long time or in large doses may lead to psychological or physical dependence, according to the NIH. This can cause withdrawal symptoms when trying to discontinue the drug or even when going for a few more hours than usual without taking it. Withdrawal symptoms may include depression, nausea and vomiting, abdominal cramps, trembling and unusual tiredness or weakness. People who take appetite suppressants for a long time frame also may need to continually increase their dosage to get the same effects, which can lead to overdose. Some appetite suppressants may cause mouth dryness, according to Vanderbilt University. Continual mouth dryness may increase the risk of tooth decay, gum disease and fungal infections such as thrush. Ephedra, an herbal appetite suppressant, and its primary active component, ephedrine, have been associated with severe effects when used for weight loss, as noted by Appetite Suppressants Reviews. The FDA allows use of these substances for breathing disorders, but banned their use as an appetite suppressant in 2004 after reports of heart attacks, strokes, hepatitis, seizures, psychosis and fatalities. The over-the-counter drug phenylpropanolamine, containing a similar compound, norephedrine, also was linked to strokes and was removed from the market.